MAD Yas Island is a state of the art space brought to life by the ADD-MIND GROUP, the creative team behind successful WHITE DUBAI and IRIS brands. The opulent nightclub features 360-degree projection mapping, huge animated LED screens, an exceptional sound system, beautiful light shows and a luxurious VIP area which boasts private bathrooms. Setting a new norm to Abu Dhabi's hospitality standards, the biggest indoor nightlife venue in the UAE will host entertainment shows, fun themed parties and biggest names in electronic dance and popular music. Guys, fantastic to meet you. MAD Yas Island is launching over the weekend of the 12-15th November. What's it like to be involved with such a big headlining project for Abu Dhabi? It's an honour to be part of this amazing experience and especially in Abu Dhabi; this is a new challenge that I am excited to take on and a huge learning experience for me in a fresh territory. All I can say about that, it will be unforgettable experience for everyone, I am really excited and 100% ready, mind and body. 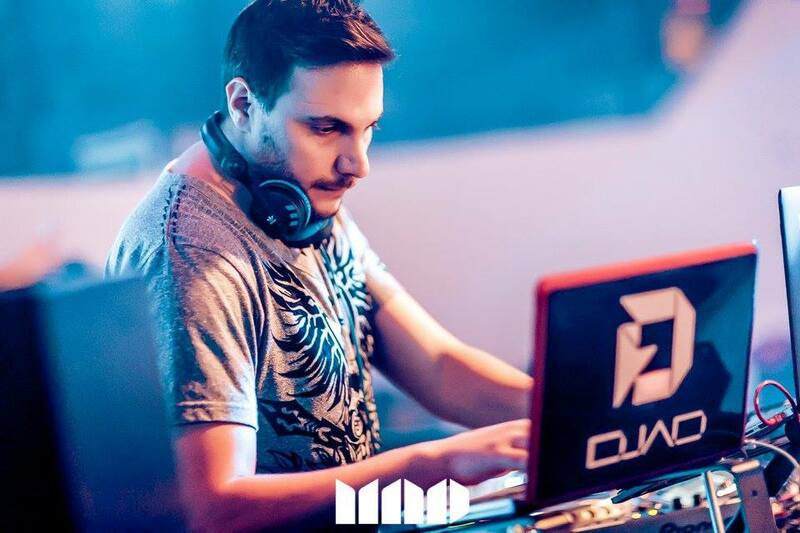 DJAD, as Musical Director and resident DJ for MAD (and its parent company ADD MIND) what are your main challenges to ensure you have the very best DJs ahead of the venue launch? Finding the appropriate DJ for our venues is not an easy task; first and foremost, the concept for the venue should be elaborated according to the music tendencies as well as the target audience we are targeting; then, the search for the most suitable resident begins, where I start filtering the artists by genre/style of music as well as by years of experience and testing them either by listening to their live sets to get a better understanding of their interaction with the crowd or by requesting them to send me pre-recorded sets for assessment. The third step would be, once the DJ has been selected, to coach him/her and to elaborate adequate playlists to be played during the night. In a nutshell, the very best DJ should be able to meet with the venue's musical requirements, be interactive with the crowd and most importantly be a team player. There's so much music out there, where do your biggest musical influences lie? My influence comes from music from all around the world, despite the variety of music and the cultural behind it, but I can name a few like: Andre Rieu, Tiesto and David Morales. What makes you decide to play a particular record during one of your sets? Will you know what you are going to play before you hit the decks, or is it much more subjective? Some tracks are known to have an impact on the crowd and to make them move and sing along, others I intentionally play to experiment with the audience and analyze their reaction which makes me a pioneer in the industry, and the rest I just improvise as the night flows. Every night is different and unique so the selection varies accordingly, I just go with the vibes I get from the crowd. Do you have one track that's your 'go-to' for getting the crowd dancing? You have both presented you own radio station shows in the past, where do you feel your musical interests are best represented, behind the mic, or when DJing live? This goes without saying, nothing beats the experience and the rush I get from playing my music live at a venue or at an event; I get my energy from the direct contact with the crowd and I get the chance to witness the musical rollercoaster I take them on. DJing live offers me the freedom to experiment and to step out of the box whereas radio shows are very limiting. Absolutely when I am DJing live. How do you keep your DJ set interesting for night to night? Our job is not simple at all, it requires daily upgrades as the music is constantly evolving; hundreds of tracks and remixes are released on a daily basis and every other day a new artist and a new music genre is born and it is my obligation to familiarise myself with them; not to mention the follow up on all the recent music equipment and software that help me spice up my sets every night. I always search for a catchy song and try to make it a dancing one. What are you most looking forward to about MAD Yas Island opening? The highly anticipated opening weekend will premiere signature themed night parties MAD Thursdays, URBN Fridays and Singles Traffic Jam Sundays, with a rotation of UAE's most sought after artists including Anthony Bassoulou, DJAD, DVN, Dany Neville and Neil T. The resident line-up is to be followed by kick-off events taking place during the Abu Dhabi Grand Prix 2015 bringing the best in electronic and urban music.